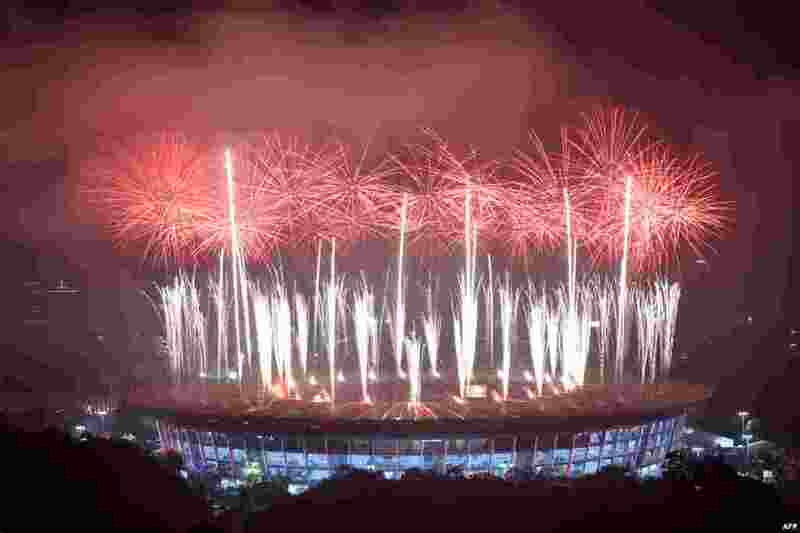 1 Fireworks explode over the Gelora Bung Karno main stadium during the closing ceremony of the 2018 Asian Games in Jakarta, Indonesia. 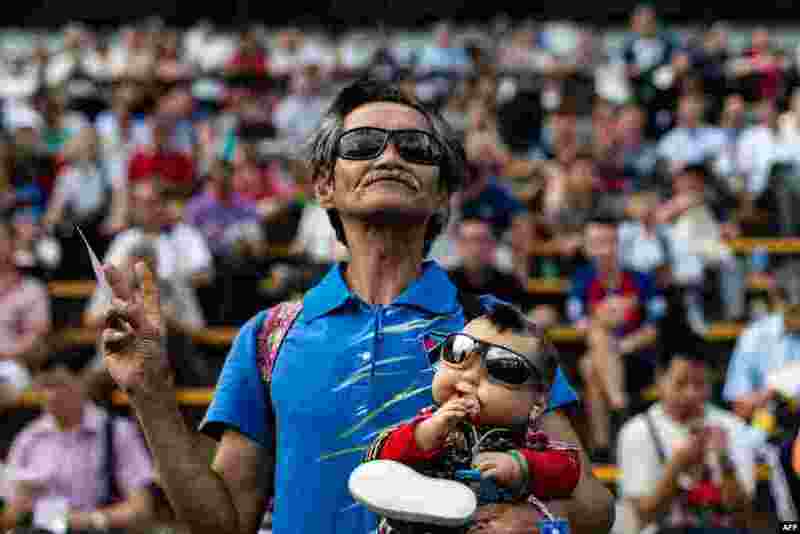 2 A man holds a baby doll during the horse race opening at the Sha Tin Racecourse of the Hong Kong Jockey Club. 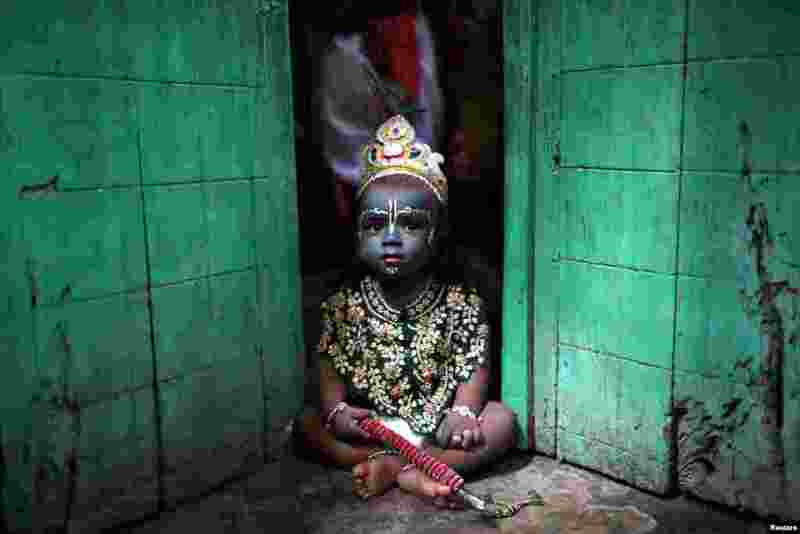 3 A child dressed as Lord Krishna during Janmashtami festival, sits on a doorstep in Dhaka, Bangladesh. The festival marks the birth anniversary of Lord Krishna. 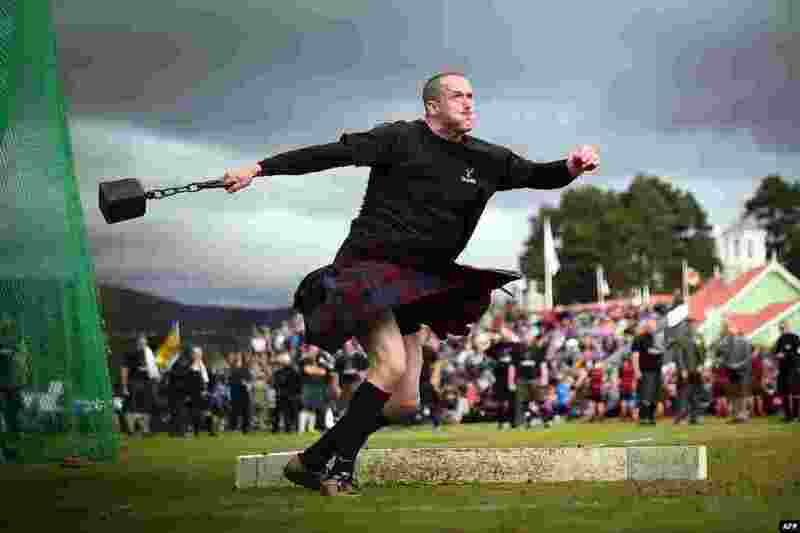 4 A competitor takes part in the Hammer Throw event at the annual Braemar Gathering in Braemar, central Scotland, Sept. 1, 2018.